As a matter of fact, there are two movies named The Wolf of Wall Street, one is the silent film produced in 1929 by Rowland V. Lee and the other, also the one referred in the article, is filmed on 2013, by Martin Scorsese as the director and Leonardo DiCaprio as the male lead, who together created Shutter Island and other three great movies before. DiCaprio has long wanted to play Belfort, but the film with a hard R rating was refused by the studio Warner Bros. before it has finally gotten the green light from Red Granite Pictures. In 2013, the movie was scheduled to be shown on the screen right on the Christmas day, December 25. 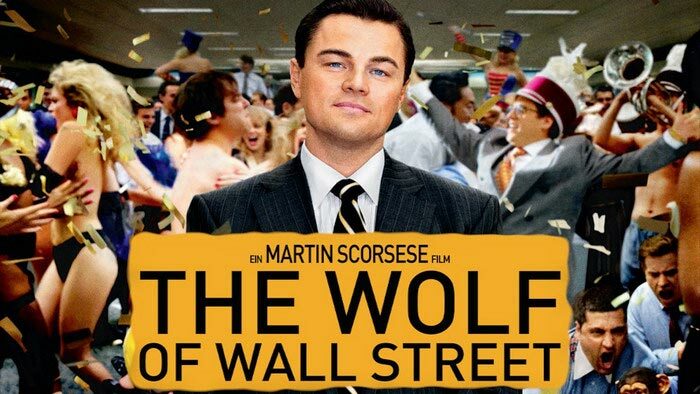 The Wolf of Wall Street should certainly be listed in the best new 2013 movies and must-watch movies in recent year. It's an extraordinarily funny film, one of the best black comedies of the year and has received broadly positive reviews such as on Rotten Tomatoes and Metacritic. It was also chosen as one of the top ten films of 2013 by related authorities. Catching The Wolf of Wall Street: The story with a metaphor name centers on Belfort, who is a Long Island penny stockbroker serving 20 months in prison for refusing to cooperate in a massive 1990s securities fraud case. The case involved widespread corruption on Wall Street and in the corporate banking world, including mob infiltration. WinX DVD Ripper Platinum: The most up-to-date and fastest DVD ripping software that comes with a Windows and a Mac version for different users. If you want to make a movie digital copy, convert DVD to differed video formats or play DVD The Wolf of Wall Street on iPhone, iPad, Samsung Galaxy, Kindle Fire or other portable devices, it is your prime choice and the best alternative of HandBrake to decode copy-protected and commercial DVDs. WinX DVD Copy Pro: No matter your DVD The Wolf of Wall Street is severely scratched or slightly damaged, you can still back it up with this DVD copy software. It enables you to copy The Wolf of Wall Street DVD to ISO image, DVD disc or VIDEO_TS folder, extract audio/video from it, create a virtual drive to mount ISO image, and burn DVD file or folder to DVD. Here we take ripping DVD The Wolf of Wall Street on Windows OS with WinX DVD Ripper Platinum as an example. The main purpose is to make a backup, and facilitate movie playback, management or edition. Please download the corresponding edition for your PC/Mac. Insert DVD The Wolf of Wall Street onto your DVD-ROM. Without any help from other third-party tool, WinX DVD Ripper Platinum can recognize the movie and check the main title independently (the main title of DVD The Wolf of Wall Street is 17). On the Output Profile Category, you can choose a desired video format or profile in the classified items. If you want to change the output format you are choosing, click the device/format symbol like shown below. It will return to the smaller output profile window for you to navigate again. If no other settings need to be made, you may just hit RUN button to let it begin converting DVD The Wolf of Wall Street. After a short time, you can get the converted video file on your computer. WinX DVD Ripper Platinum is keep updating for the backup of the new movie DVDs with unmatchable output quality at fastest speed. It also makes easy the DVD cropping, trimming, title merging and subtitle embedding. Free download Leonardo DiCaprio Oscar movies of all years in HD resolution, who finally wins Best Actor in Oscars 2016 and check out the 2017 Oscar Best Picture winner. Rip and copy DVDs Game of Thrones TV Series Season 1-7 in fastest way on PC/Mac while keeping good video audio quality, the best way to backup Episode DVDs like Game of Thrones. To make a copy of DVD Fast & Furious 6 and upcoming Fast and Furious 7 DVD for playback on PC, you can use the best DVD ripper – WinX DVD Ripper Platinum to do so.